Cindy Wrocklage RN, CPSN has over 20 years of experience in the nursing field. She holds an Associate’s Degree in Nursing from Rivier College/St. Joseph School of Nursing and a Bachelor’s Degree from the University of New Hampshire. Through comprehensive training and testing, Cindy is one of a select group of Registered Nurses in New Hampshire to have obtained her specialty certification in Plastic Surgical Nursing through the American Society of Plastic Surgery Nurses (ASPSN). Cindy has extensive training and experience with cosmetic injectables and fillers and is recognized and accredited as an advanced nurse injector. She is also a member of the Society of Plastic Surgical Skin Care Specialists (SPSSCS) and the Association for Professionals in Infection Control and Epidemiology (APIC). Julie is a graduate of Catherine Hinds School of Esthetics in Woburn, MA and has been practicing as a licensed aesthetician for over 19 years. Over the last eight years, she has honed her skills in a plastic surgery setting and has become a skilled Clinical Aesthetic Professional. Trained and certified as an IPL (photo-rejuvenation) technician, she has administered hundreds of these treatments targeting hyperpigmentation, age spots, melasma, rosacea, broken capillaries, redness, acne, and overall signs of aging and dullness. Using IPL in combination with advanced clinical peels (mild to moderate) and medical facial treatments allows Julie to help her clients achieve rejuvenation and clarification through not only with the treatments she recommends, but also with lifestyle and home-care maintenance. She considers this a well-rounded approach to get to the root of the skin condition or concern and develop a plan that will deliver lasting, desired results. Her level of expertise combined with a caring, nurturing demeanor has allowed her to give all of her clients the personal attention they deserve. Come visit Julie, she is very excited to meet you and get you started on your beautiful skin care journey! 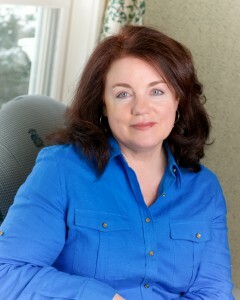 Sandy Silsby has been a licensed aesthetician for over 20 years. Much of that time has been specifically in plastic surgery, both as a Clinical Esthetician, and a Clinical Assistant. These roles have given her the essential experience to achieve results-driven skin care with every client. Sandy has advanced training with IPL (Intensed Pulsed Light), which is effective in treating rosacea, brown spots, and photodamage. She’s also a strong believer in VI Peels, SkinCeuticals Peels, and Dermaplaning, giving her the means to treat a variety of skin conditions. With her advanced knowledge of the SkinCeuticals product line, Sandy provides passionate and comprehensive recommendations for her clients, treating them as individuals and customizing a targeted skin care plan. Sandy believes that your skin care experience should be both luxurious and restorative. If you would like more information, or if you would like to schedule a consultation at the practice of Dr. Richard Zeff, please contact us today.